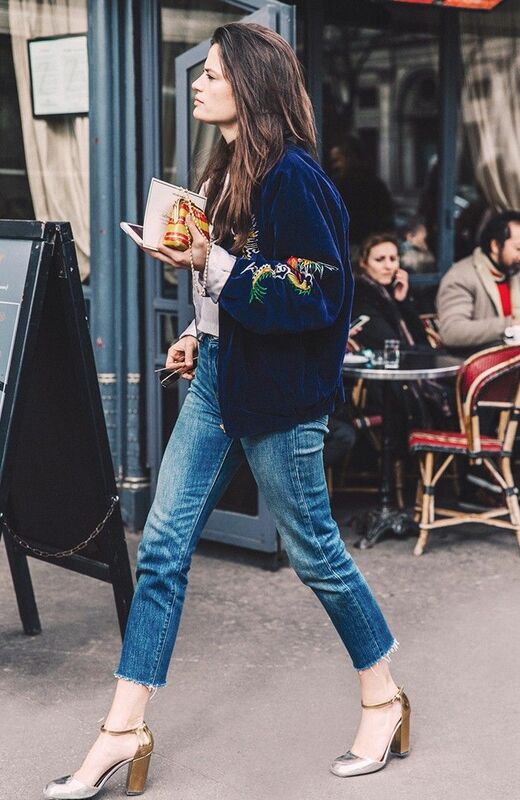 Fashion girls across the world are known for styling denim in completely genius (and unexpected) ways. Is it their street style–esque tops that make the look jaw-dropping, or are their jeans somehow magical enough on their own that even a plain white tee can't drag them down? Truth be told, it's the simple details on their coveted denim that makes their outfits that much cooler. Luckily, these details are simple hacks that can be done from the comfort of your own home, and in some cases, at your nearby tailor. From uneven hems to that perfect ankle crop, we bring you eight fashionable hacks that every fashion girl swears by. Keep reading to find out how you can achieve standout denim at home, or if you're not the DIY type, shop the style here! Achieving this super-frayed hem is easier than you think. Using scissors, cut the bottom of the jeans at your desired length and pull out the the threads by hand. The more you pull, the more dramatic the fray. Once they are looking how you want, run them through the wash, and dry them. The fringe will become more full this way. You don't need to spend a chunk of dough on pair of Vetements jeans to achieve this look. Find a pair of vintage jeans that are a tad too wide for you in the leg. Bring them to your favorite tailor and ask them to sew a seam down the front or back (whichever you prefer) of the leg. You might want to show them a picture, since this kind of tailoring request is offbeat, but the result is a fashion-forward pair of jeans that will have people asking you where your pants are from for months. Over your go-to skinny jeans? There's an easy solution: Take a pair of sharp scissors and split the seams on the sides, starting down at the hem and continuing about a quarter of the way up your calf. The more you wear them and wash them, the more frayed and distressed the split seam will become. With this trick, you'll fall in love with your skinny jeans all over again. This is a hack you can do with almost any pair of traditional denim. All you are doing here is releasing the hem. Take a seam ripper and flip the hem of the leg up. Start cutting the threads so the hem falls loose. The end result is this ombré, slightly frayed hem that takes an average pair of denim to another level. Fashion girls love a good ankle crop, whether it's on their jeans or their structured trousers. The key here, when getting your jeans tailored, is making sure the bottom of the hem hits right above your ankle bone, as opposed to a quarter of the way up your calf. The difference is subtle, but it will elongate your legs and give you a custom pair of jeans that's a step above the rest. Another great way to make your jeans stand out is by creating an uneven hem. Again, this can be simply done with scissors. Cut the front part of the hem about two inches higher than the back, and you're done. Last but not least, patches! This is where you can let your true creativity shine. Whether you opt for swatches of fabric or playful rainbows and flamingos (see next slide), your jeans will instantly become more colorful and animated. 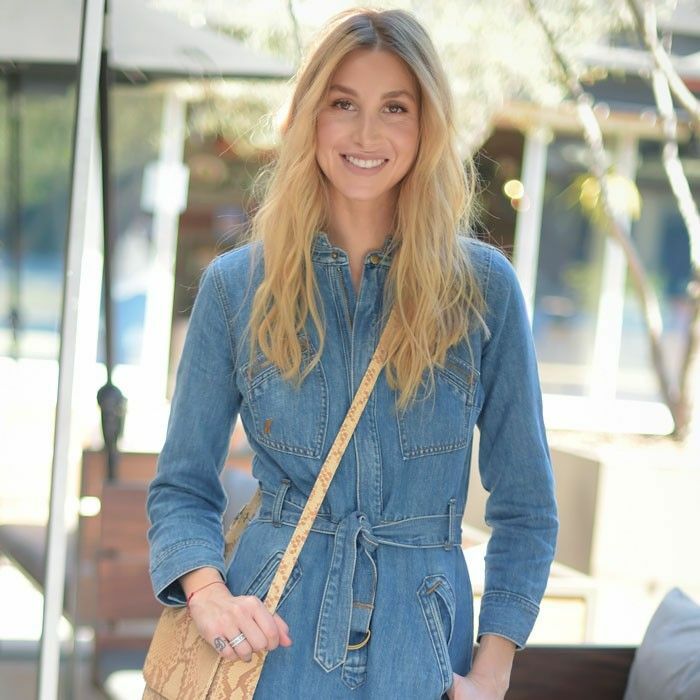 Here is another easy trick to make your vintage jeans feel even more fashion-forward!